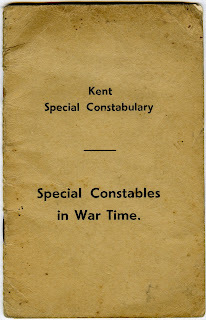 A nice find on eBay - 'Kent Special Constabulary: Special Constables in War Time'. The manual provides guidance to the volunteer police officers who played such an important role during WW2. I will scan and post the contents.